Broadwindsor CE VC Primary School plays a vital role in village life. 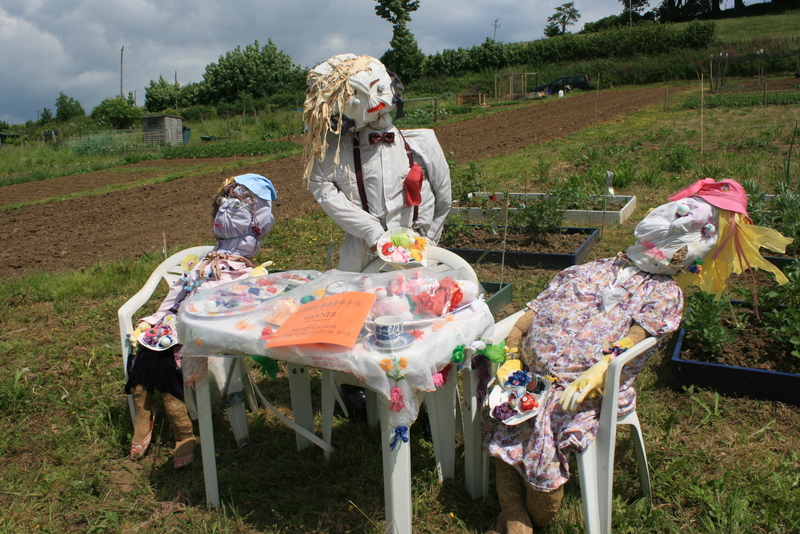 The picture above shows the scarecrows’ tea party, as created by village children on their own allotment. The school aims to offer the very best learning environment and to promote high levels of self-esteem and a lifelong love of learning. According to its website, the school seeks to create a happy, family atmosphere within a Christian environment where each adult and child feels secure and has a sense of purpose and responsibility.